There are three model variants for the Regent EX tractor, all having power-plants made by Briggs & Stratton Professional Series. 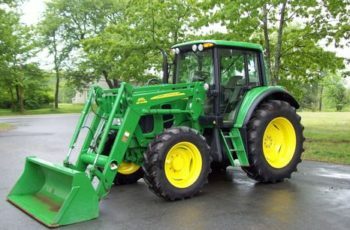 The first has 20 horse-power and a 38 inches (96.5 cm) cut; the second has 23 horse-power and a 46 inches (116.8 cm) cut and the third has 26 horse-power and 52 inches (132 cm) cut. This review is about the first model, with 20 horse-power. The manufacturer’s suggested retail price (MSRP) for this model is $2400, which makes it a rather expensive product, so the question is what a buyer would get in fact for this amount of money. There are several features of this model that puts it among the good products. The air-cooled V-Twin engine is a power-plant of Briggs & Stratton Professional Series. The spin-on oil filter displaces 656 cubic centimeters and is automotive styled. Opposed to several box store models which have a hydraulic transmission, the Regent EX is using a Tuff-Torq K46 transaxle, which is actually an improvement. The twin-pedal setup which manages the machine is not very ergonomically placed, but does provide a fine, modulated control over different speed ranges. We also found it to be more practical than the treadle styled pedal. Dispatched in the front of the tractor, the cast iron axle is an obvious improvement as compared to box store models. Regarding the decks, Simplicity are among the best in the entire business. Using two blades of different lengths, they use cast aluminum spindles, being stamped from 12 gauge steel. A hand crank provides fine adjustment control and the lower/lift operations are manipulated by a conjunction of a side pedal and a lever. A full-width roller prevents the blades from scalping in rough conditions and provides the cuts with coveted striping effects. 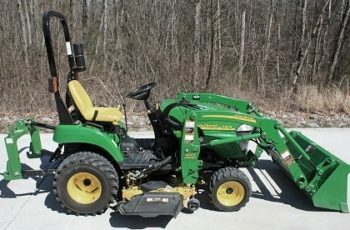 A quick hitch removal mechanism facilitates even more the removal of the entire deck or the current one’s change with another, for example a snow-blower. The operator’s room has all the necessary controls situated in an intuitive manner, ergonomically placed around the seat: key start, PTO (power take off), headlights, cruise control lever, throttle, hour meter and other switches. There are also some sets for the cell phone or a player and a cup holder, all positioned on the left fender. The turf tires employed for the Regent EX are 15×6 for the front side and 20×8 for the rear side. There are some extra options to choose from for the Regent EX: 42 and 48 inches dozer blades, weights, triple (or double) bag clean sweep catchers, turbo collection system, etc. 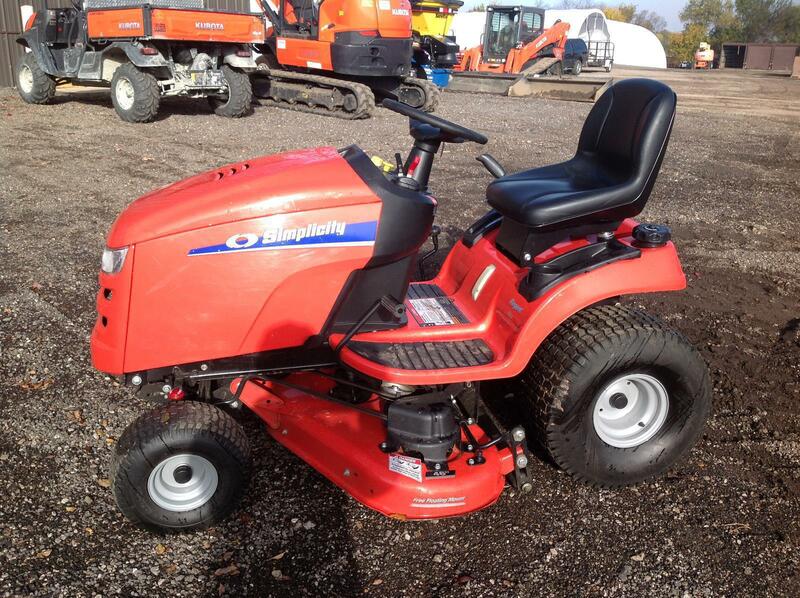 Returning to the premium price for this machine, all the stock features are enough to explain it and make it worth. 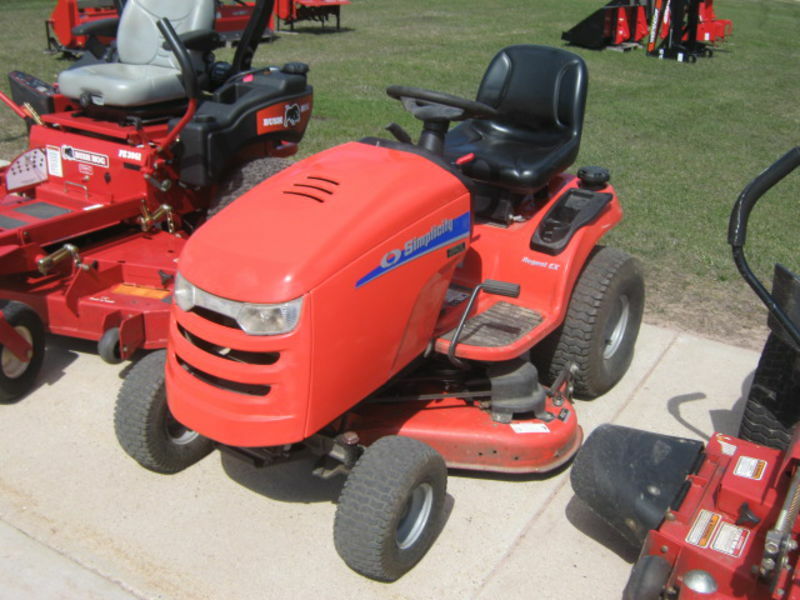 While some machines still use reverse mowing switches, with the help of Simplicity the owner of a Regent EX gets only a secondary key that is able to lock the reverse mowing or use it permanently as long as the owner considers necessary. 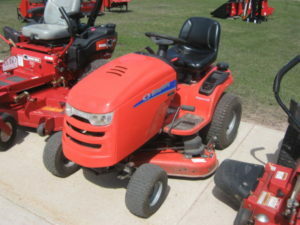 The quality of the component parts makes it an ideal tractor for lawn mowing.